When KitKat and I conceived this idea for a blog, a key question lurking in the back of my mind was, “Will we have enough energy/dedication/content to keep this thing going?” After all, I’ve been known to start many projects with great enthusiasm only to lose steam once life intervened (as it invariably does). Nonetheless, we launched in January with high hopes: This project would sharpen our creative writing skills, serve as a crash course in blogging (something two marketers should understand) and, if we were lucky, would also allow us to exercise some middle-aged demons. Our goal was for each of us to do one post, every two weeks, for a total of four postings a month. Off to a promising start, in January we posted 11 times. We each had a backlog of topics floating around our heads, and it seemed there was no end to the curveballs—or perhaps “snowballs” is more accurate—life was tossing our way. Every day seemed laden with a fresh blanket of material… February brought a slight decline in our writing output, but the shortest month of the year still saw us generate 7 posts. After that, we stabilized at a pace of about 5 posts per month. That’s one more than our “guidelines” dictated, so we were still doing great. Then it finally got nice out. And for the most part it worked. We finally made it to summer with our marriages, jobs and good humor mostly intact. But if we consider blogging to be a form of online therapy (and we do), then there have been a couple of mental breakthroughs along the way. And one thing we’ve both learned is this: You’ve got to strike when the iron is hot–whether you’re talking about writing or living. Carpe diem. That may be trite and hackneyed, yes, but it’s also undeniably true. Enjoy the beauty in your own backyard. Today’s swimming hole is tomorrow’s skating rink, so you need to make your splash before the first thin layer of ice takes hold of your heart. I know that a lot of people swear by meditative silence, but I find that if I spend too much time alone with my thoughts, I find myself fretting over thorns when I should be smelling the roses. 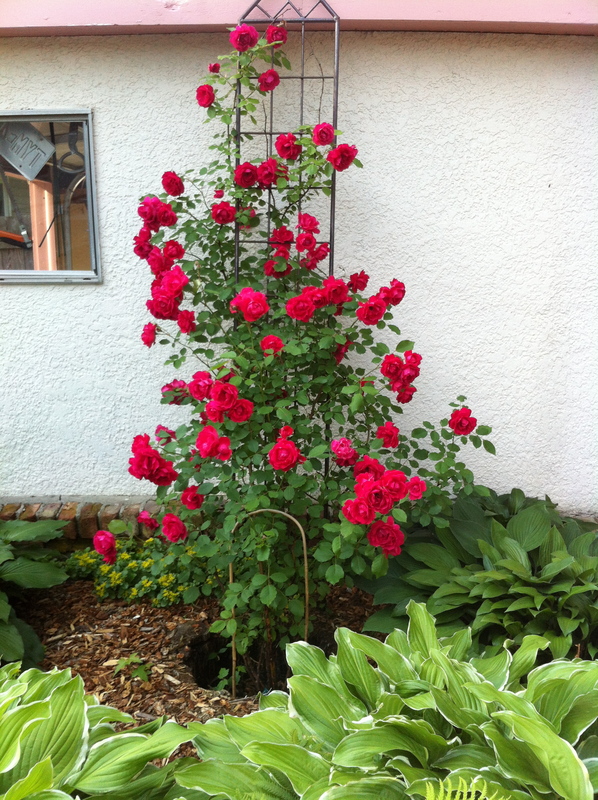 I’m much happier when I’m doing stuff—whether it’s making strides toward solving a problem (e.g., at work), improving my surroundings (e.g., weeding my garden), focusing on others for a change (e.g., visiting my parents) or just enjoying the best that Minnesota has to offer (e.g., concerts in the park with my kids). 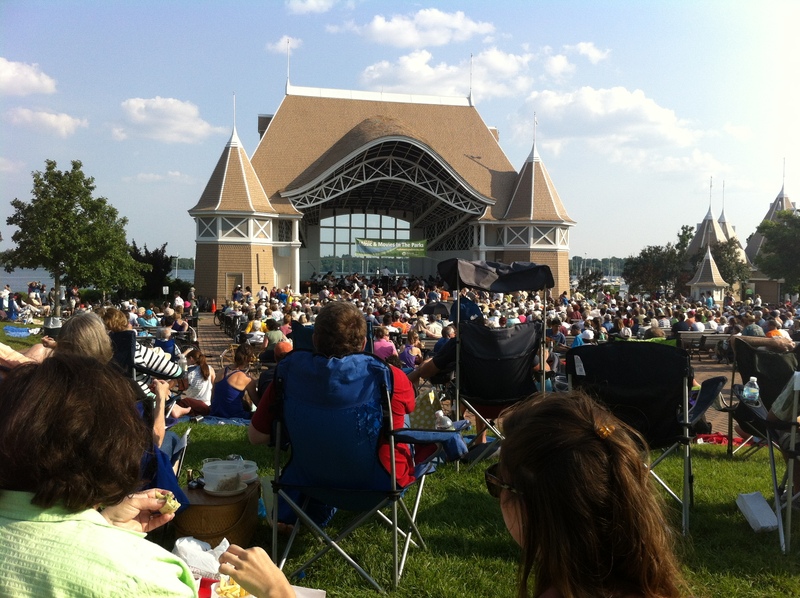 Concerts by the lake, a favorite summer past-time. At the same time, KitKat and I have also found that writing a post when we’re uninspired—or when long summer nights are beckoning us outdoors—is useless. It just ain’t gonna happen. Yet, we believe there will still be a few summer moments when inspiration strikes, and we can crank out our thoughts in record speed. But until then, we’ll just sip our margaritas while waiting patiently for that muse to arrive. The bottom line here is KitKat and I are slacking off a bit with our posts during these months. But we hope you won’t really notice because you, too, have dragged yourself away from the computer and are enjoying these fleeting days of summer. That’s what we want for our readers… Just remember to come back in the fall. We promise that once October rolls around and the kids are settled into their school routines, our postings will wax as surely as our daylight hours wane, and we’ll be full of new stories to share. In the meantime, slack off a little yourself and go enjoy a margarita on the deck. We won’t tell.